The team at Raphael Design are sure that summer is on its way as orders for our printed deckchairs have started to roll in. 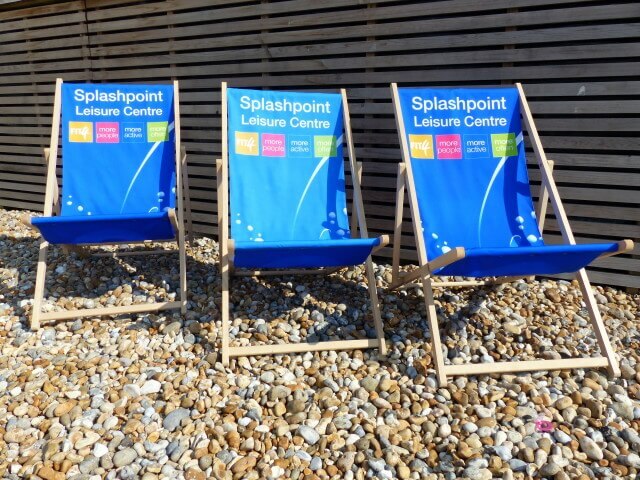 These branded deckchairs are the ultimate in summer seating and they are a great way to promote your brand. They are easily foldable, stackable and light enough to carry down to the beach, to a picnic or even to a trade event. Our custom deckchairs are a true classic, reborn. They have a top quality beech frame with a light wood finish. The seat is printed in full colour on 250gsm display polyester. The graphics are bespoke to your own requirements and we are confident the vibrant print will be a real head turner. So if you have a forthcoming event or are looking for a quirky promotional giveaway or prize then you cannot go wrong with this fantastic product. The minimum order quantity is just one, so why not contact us with your specific requirement by calling 01543 261220 or sending us an email. We also have available a double deckchair and other seating options too. If you would like to know more about these then just get in touch with the Raphael Team.